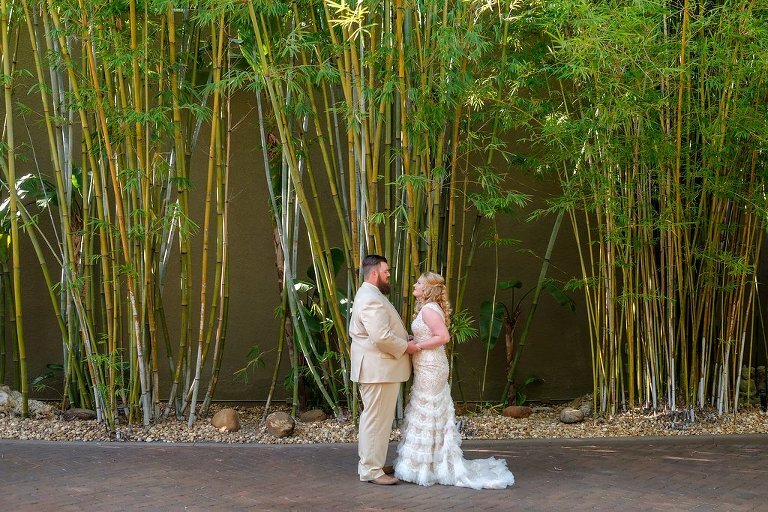 Mariah and Kyle’s downtown St. Pete wedding featured a romantic indoor ceremony and reception adorned with soft lighting that complemented their venues iconic brick walls. 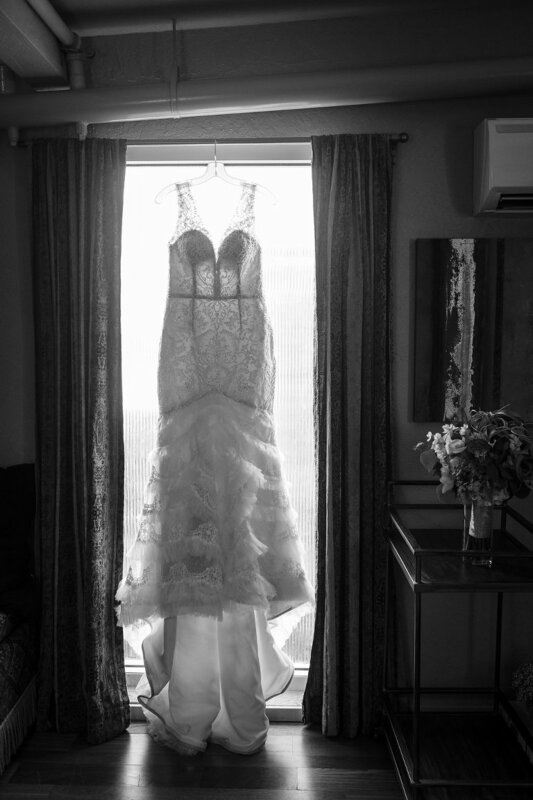 The couple chose downtown St. Pete wedding venue NOVA 535 for their wedding day for its open floor plan and modern decor. The brick walls with string bulb lights made the perfect focal point for the bride and groom to say “I do” and also doubled for the sweetheart table backdrop. 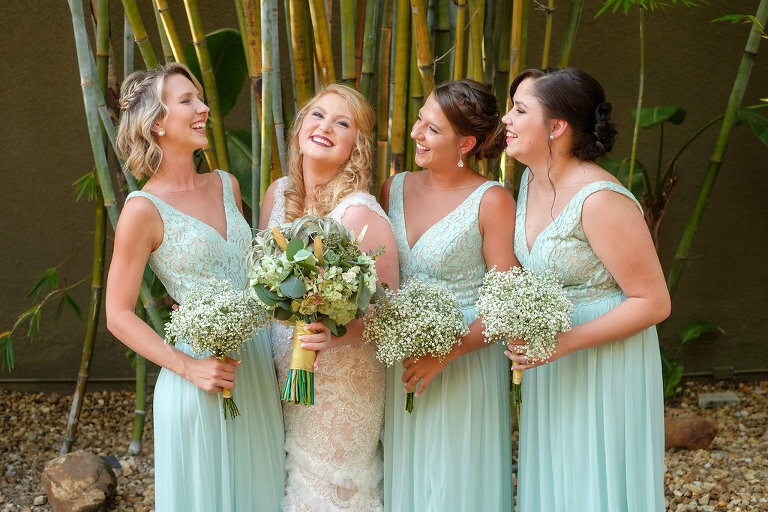 To capture the couple in a natural and playful style, Mariah and Kyle hired St. Petersburg wedding photographer Marc Edwards Photographs. 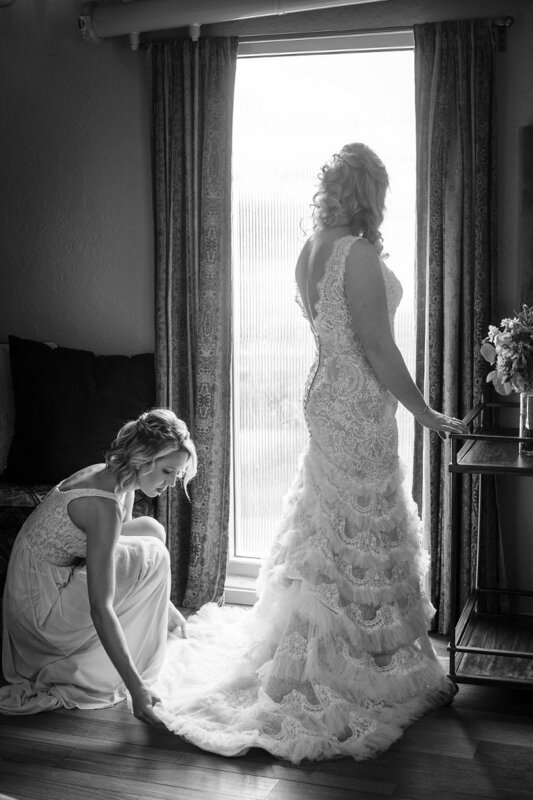 He photographed the couple’s most memorable moments, from “getting ready” to laughs with the bridesmaids to those intimate moments with just the bride and groom. Aside from the modern event venue, one of our favorite details was the doughnut dessert table.